W. Warner Williams Water Resource Park | Wharton Smith, Inc. 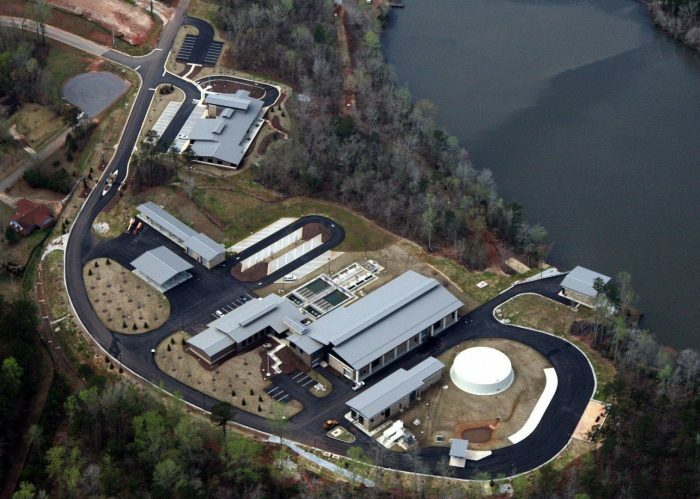 This new complex for the Opelika Utilities Board includes process buildings to generate drinking water as well as headquarters for their primary operations. 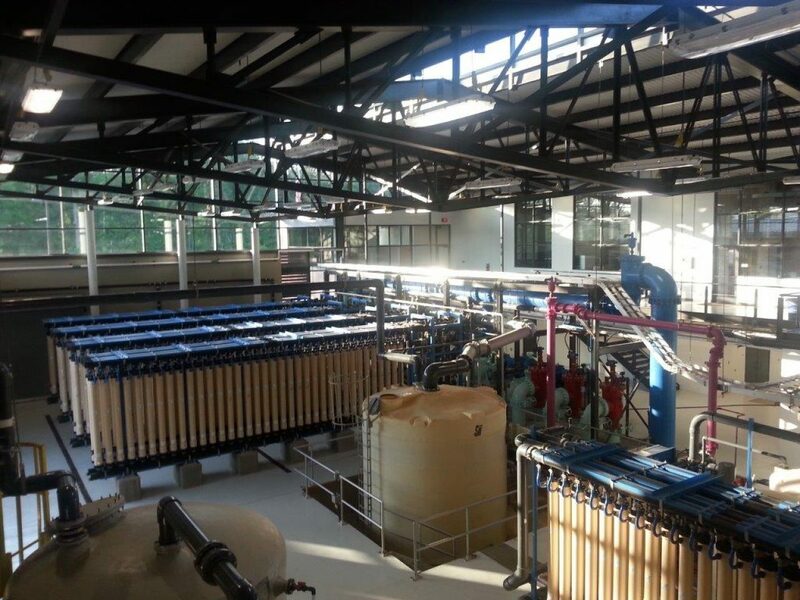 The project consisted of an 8.0 MGD micro-filtration water treatment systems with membrane treat facilities utilizing Pall Systems filtration technology, 4,500-square-foot finished water pump station, and 21,400-square-foot two-story process building housing plant operators, micro-filtration equipment, pumps, chemical feed systems, electrical equipment and telemetry systems. The build also included a 12,000-square-foot Administration Building housing offices, classrooms and training facilities, 6,200-square-foot Distribution Warehouse, and 1,500-square-foot Vehicle Maintenance Facility, along with site improvements for the 11-acre site. Located along the pristine 415-acre water supply reservoir, the Complex was built within a highly sensitive area with the reservoir’s protection buffer and the client requested that the project’s design and construction practices reflect good stewardship of the environment. 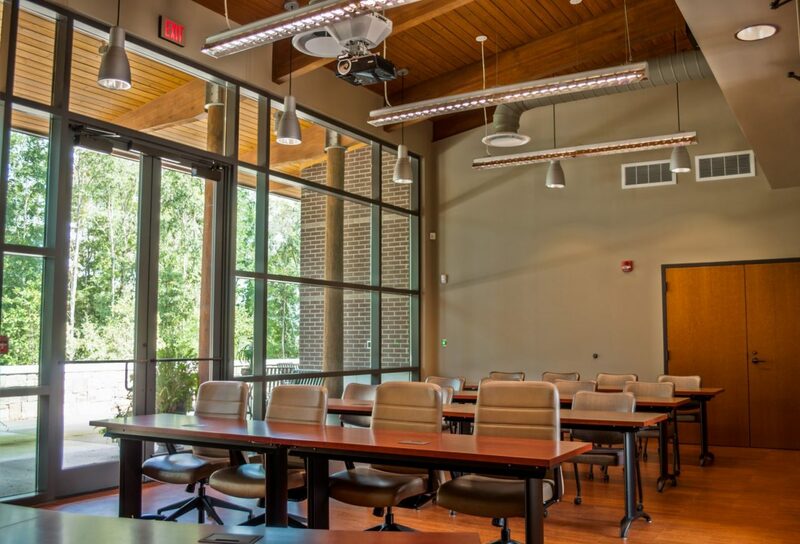 By incorporating sustainable strategies such as daylight harvesting, use of local materials, and recycling construction waste, two of the buildings achieved LEED Silver certification with the U.S. Green Building Council. The Wharton-Smith team coordinated the LEED certification efforts and self-performed 73% of the construction work. Click here to view a panoramic of the project.